Ed. Note: This is an early Mon. 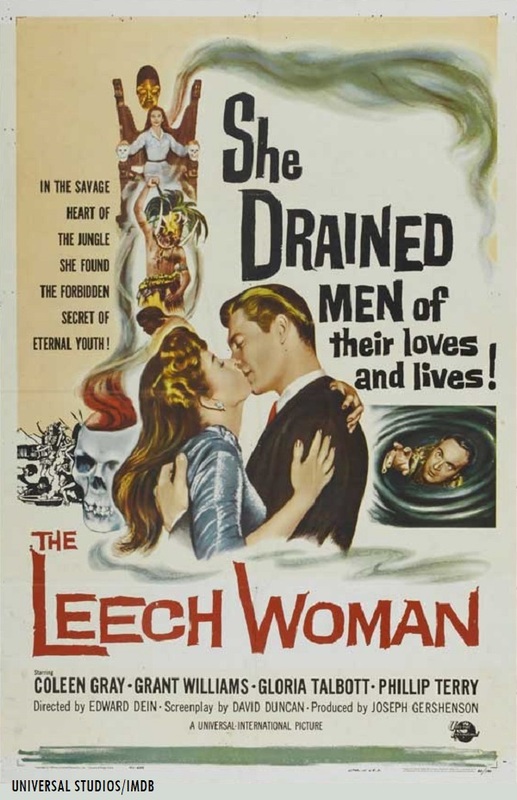 “Silver Screen Reflections” blog post on Sven’s upcoming Me-TV showcase of “The Leech Woman” (1960). I will be performing election judge duties during the Maryland primary election that will be taking place on Tue., June 26. –C.H. 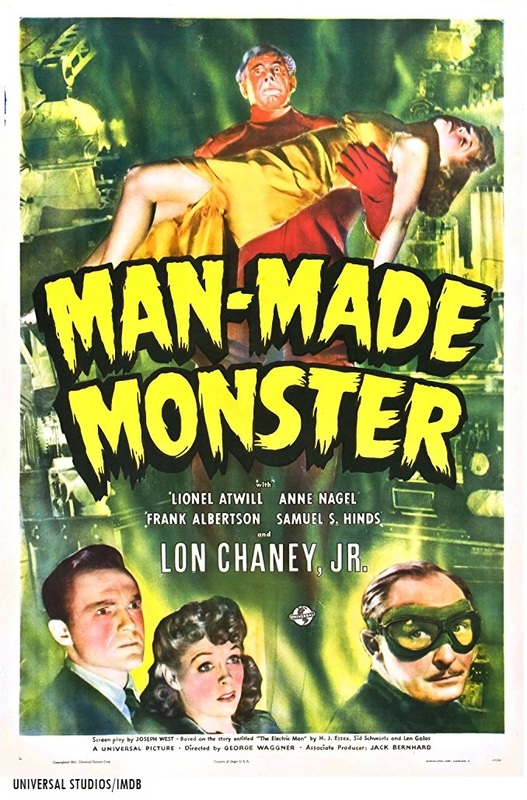 Fellow coast-to-coast Svengoolie SvenPals will be excited about his upcoming showcase of a Universal Studios cult romantic sci-fi/thriller classic. Original Universal Studios theatrical trailer for “The Leech Woman” (1960). 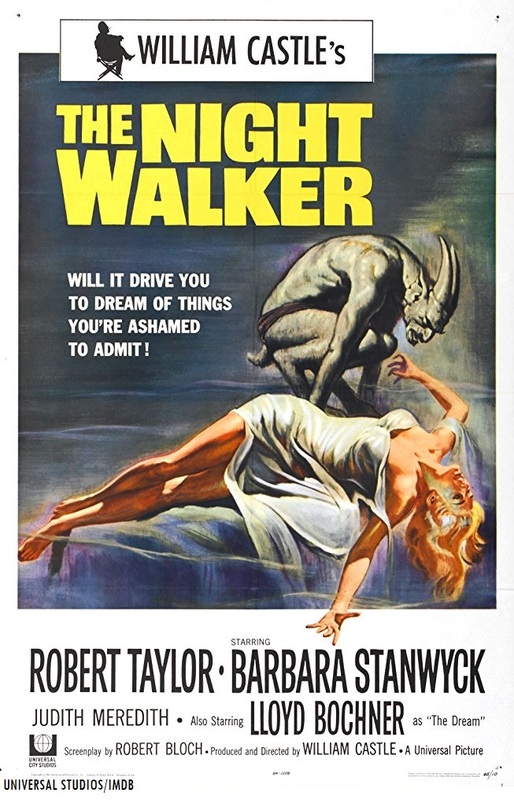 The legendary Berwyn/Chicago-based sci-fi/horror film host will showcase “The Leech Woman” (1960), this Sat., June 30 at 8 p.m. Eastern/7 p.m. Central on Me-TV. This will mark Sven’s fourth broadcast of Dein’s Universal sci-fi feature on Me-TV. He previously showcased “The Leech Woman” back in Sept. 2013, Feb. 2015 and June 2016.
Who was in “The Leech Woman” (1960)? 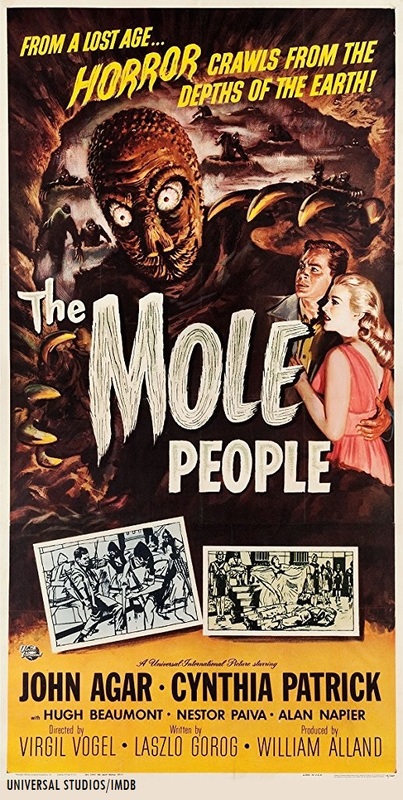 The players who appeared in Dein’s 1960 Universal sci-fi/horror entry were Coleen Gray (as June Talbot), Grant Williams (as Neil Foster), Phillip Terry (as Dr. Paul Talbot), Gloria Talbott (as Sally), Estelle Hemsley (as Old Malla), Kim Hamilton (as Young Malla), John Van Dreelen (as Bertram Garvay), Arthur Batanides (as Jerry) and Murray Alper (in an uncredited role as a drunk). One of cinema’s all-time greats will be returning to the big screen in Gettysburg to kick off a historic theater’s summer classic film showcase. 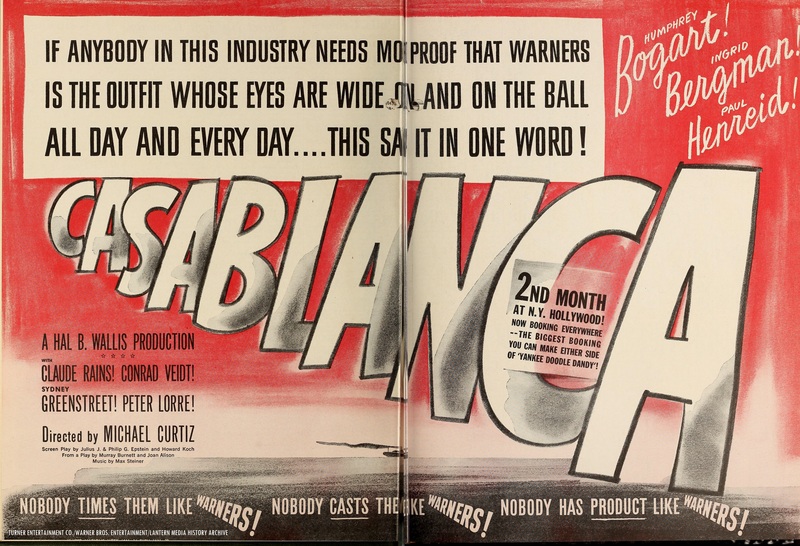 Original Warner Bros. lobby card art for “Casablanca” (1942). The historic Majestic Theater in Gettysburg, Pennsylvania will kick off their “Summer Classic Movies” anthology series of classic/cult cinematic favorites for 2018 with their presentation of “Casablanca” (1942) on the big screen. The screening of the Michael Curtiz–Hal B. Wallis classic at the historic cinema will take place on the evening of Wed., June 6 at 7:30 p.m. (local time). 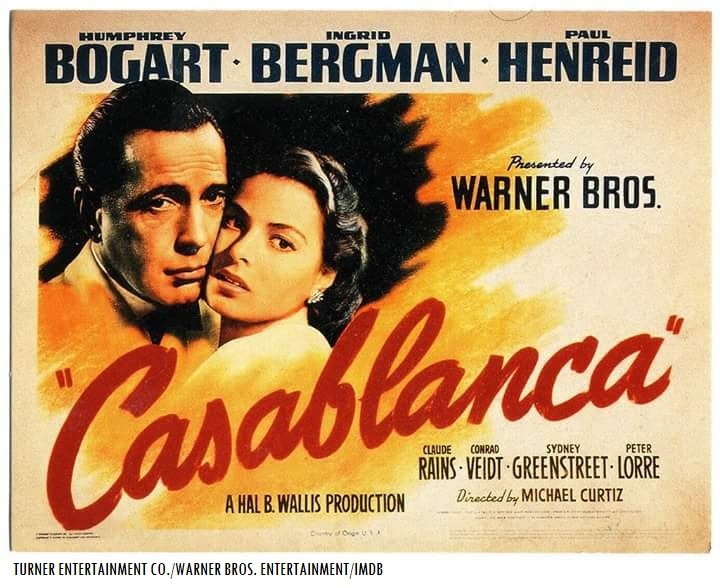 The Majestic’s presentation of “Casablanca” (1942) will have an opening introduction by area film historian and executive founding director of the Majestic Theater, Jeffrey W. Gabel. 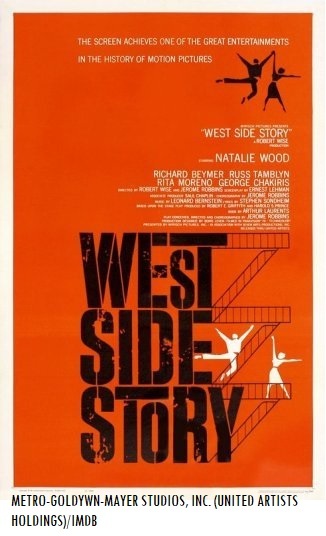 Attendees of the Majestic’s presentation of “Casablanca” (1942) will be eligible to win a raffle prize, according to the official website of the Majestic. Who was in “Casablanca” (1942)? Appearing in “Casablanca” (1942) were Humphrey Bogart (as Rick Blaine), Ingrid Bergman (as Ilsa Lund), Paul Henreid (as Victor Lazlo), Claude Rains (as Louis Renault), Peter Lorre (as Ugarte), Dooley Wilson (as Sam), S.Z. “Cuddles” Sakall (as Carl), Conrad Veidt (as Strasser), Sydney Greenstreet (as Ferrari), Madeleine Lebeau (as Yvonne), Joy Page (as Annina Brandel), John Qualen (as Berger) and Leonid Kinskey (as Sacha).